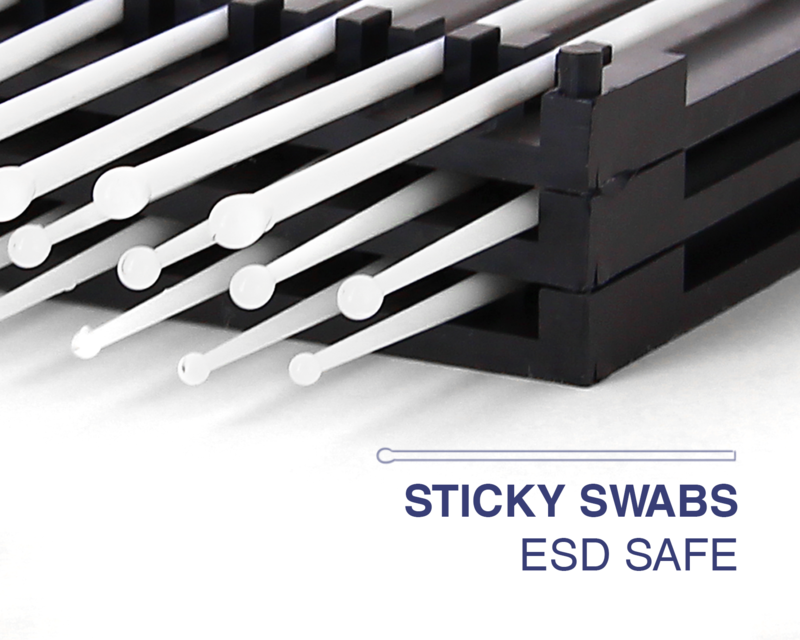 Ideal-tek ESD safe Sticky Swabs safely remove miniature particulate from sensitive and hard to reach areas. The soft, high absorbent head will not scratch or leave adhesive residue making it ideal for use in controlled environments (class 10-100). Sticky swabs are available in three application specific sizes and multiple packaging options including a 25-pack, NEW 10-pack or 75-piece assortment pack containing all three sizes. The re-closable packaging makes Sticky Swabs easy to access and store. For more detailed information please see our Sticky Swabs leaflet.